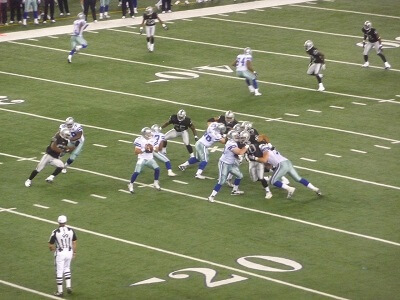 Get notified when Oakland Raiders tickets are available! The Oakland Raiders are a professional football team that competes in the American Football Conference West of the National Football League. The Raiders were based in Oakland from 1960 to 1981, moved to Los Angeles from 1982 to 1994 and then returned to Oakland in 1995. The Oakland Raiders’ home field is the Oakland Alameda Coliseum, which is found in Oakland, California next to the Oracle Arena, home of the Golden State Warriors. The stadium opened in 1966 and is one of the smallest NFL stadiums, seating only around 56,000 fans. To get Oakland Raiders tickets, check out the schedule above and then follow the links.